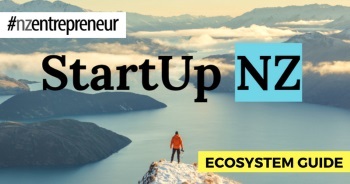 Auckland-based beverage startup Vista secures large investment from property entrepreneur. A tried and true marketing tactic has enabled Auckland-based sparkling water startup Vista to secure a significant investment from luxury property developer and investor Kurt Gibbons. Vista, the brainchild of three Auckland schoolmates turned business partners, was developed in late 2017 after the co-founders saw a gap in the market for a flavoured sparkling water with minimal ingredients. Proving the continued value of free samples and the “try before you buy” marketing tactic, the Vista founders initially attracted the attention of businessman Kurt Gibbons through its influencer marketing campaigns, having sent samples of the beverage to Gibbons’ wife, The Crowd Goes Wild presenter Makere Gibbons (formerly Bradnam), among other influencers. Widely known in the Auckland and Wellington property markets for his involvement in boutique high-end development and commercial leasing, Gibbons founded Gibbons Co., a luxury property development company, in 2008. In his newly signed deal with Vista, Gibbons has committed to a lump sum cash injection and an interest-free line of credit in return for a 25 per cent stake in the business. The investment is understood to be “north of $300,000”. 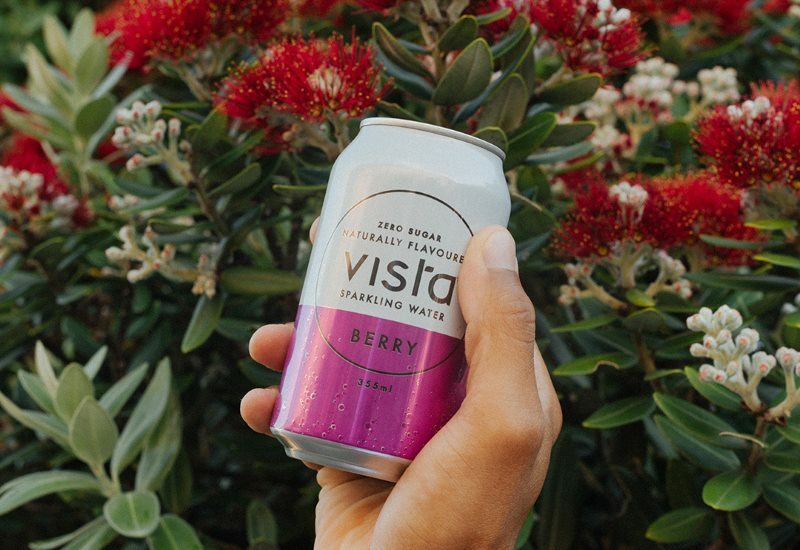 Available in feijoa, berry and lemon flavours, Vista drinks contain nothing more than carbonated water and natural flavour derived from fruit. The beverages include no sugar, sweeteners or additives and less than one calorie per can. Sold and produced from headquarters in Albany, Auckland, more than 250,000 cans of Vista were sold in 2018, with distribution deals through major grocery chains such as New World, PAK’nSAVE and Countdown, and on-premise sales through a number of cafes and restaurants nationwide. Gibbons says he was sold on the product as soon as he tasted it and immediately reached out to the founders to arrange a phone call. Gibbons says, “The boys really hit the nail on the head with Vista. It’s an incredibly simple product, with minimal ingredients and no hidden surprises. The founders have an impressive work ethic and our personal values are closely aligned, so getting involved in the business was a no brainer. “The brand’s potential is huge, with the sparkling water market expanding rapidly as consumers become increasingly health conscious and choose to ditch sugary drinks,” says Gibbons. 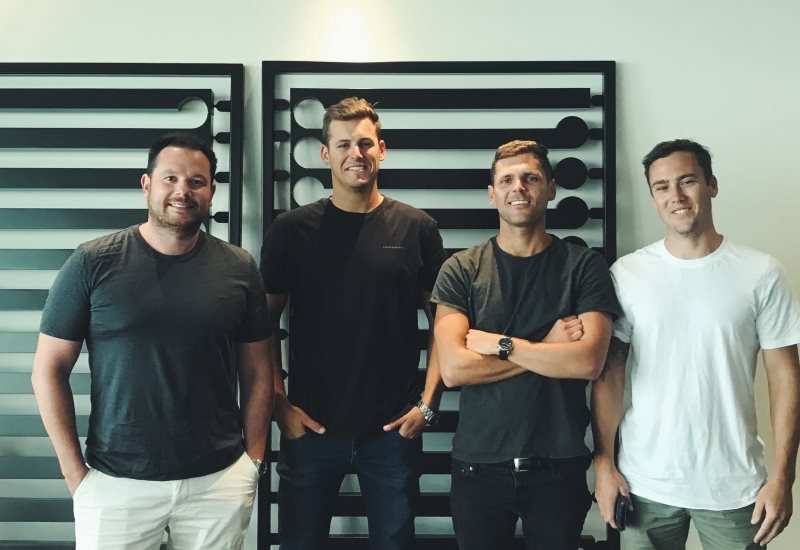 Vista’s 27-year-old founders, Scott Day, Adam Sorensen and Russell Hopper, became friends while attending school together on Auckland’s North Shore. Day says the deal will ensure that Vista not only has the capital for growth, but the right expertise and experience too. “After nearly three years of working behind the scenes on product development and getting Vista off the ground, we’re hugely excited to be bringing Kurt on board. Locally, his investment will enable us to focus on new product development and continual market growth, including expansion into school canteens. Encouraging Kiwi kids to reduce their sugar consumption is a massive priority for us, but until now we simply haven’t had the capital to compete with the beverage giants by supplying schools with fridges,” says Day. Next post SME business owners face mental health "crisis"